I am very happy with their service and effort finding the best relocation and price. Would use this place again! Quick and efficient processing- and the dollies made moving all my stuff a lot easier! Clean, protected, air conditioning...great facility! Alton Self Storage is the absolute best! Alton Self Storage is the nicest looking, friendliest service, and most secure storage facility I have ever used. They really take good care of their clients and they really keep the place looking spotless and professional. 5 stars all the way. Really goodï¼cleanï¼save and people are nice. The staff are SO helpful here! And the facility is incredibly clean. I need the storage space for this month because my new place isnât ready yet. 10/10 if I ever need storage in Orange County again, I would go here. Got a great deal on a large storage unit. Best price I could find in the area for a unit that size. Very clean and easy to access! Only downside is I wish they were open a bit later but 6 pm isn't too bad. So far, so good. Customer service great: Staci and Robert thorough and friendly. Clean,accommodating, and great customer service. A bit far for me to drive, but otherwise very good storage company. Price is fair, Stacey was friendly, quick and thorough. Place is clean. Easy access. My unit is not as close to the elevator as I would like, but otherwise ok. Carts are small, but operate well. They were efficient and easy! The facility is clean and there is ample parking. Very friendly staff, clean and high tech facility. Everyone at the front desk is super nice, friendly and ready to answer any question and make your move as easier as possible. I believe it was Russ who helped me out and he was so awesome and made the process so easy and fast. From the moment I walked in, I felt welcomed. All paperwork was done in no time and I was ready to move in. Great location, everything is so new and clean! 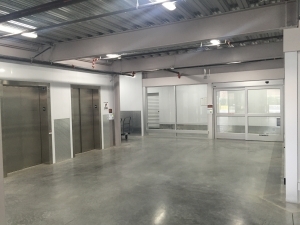 Easy access to the loading docks and elevators. 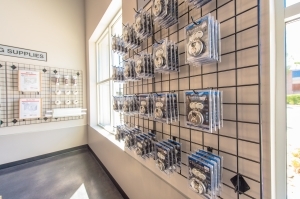 Located in a great area already, but the facility is also protected by pass code boxes that are personalized to each person. 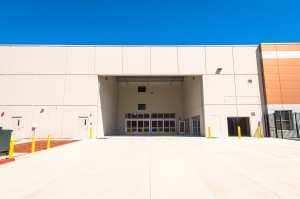 Access to the storage areas is 7 days a week from 6am-9pm regardless of holidays. 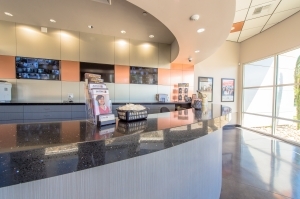 I had great customer service at the front desk, the building was clean and well lit. We loved that there were handcarts available for us to move our things into the unit. Very nice and clean space. Front desk was very helpful. The handcarts made moving a breeze. From start to finish, the best in the business. The registration of the 5x10 room I ordered was quick and easy. These people were helpful and informative, and again, the process was very fast. I needed a 5x10 unit and after price shopping around I landed at Alton Self Storage which I reserved for a set price. When I arrived to fill out paperwork and see it there were large pipes in the unit that took up 1.5 feet of space in the back, and then they angled up which cut off about 4 feet of overhead space. In the storage industry you pay for square footage, it was advertised to have a set amount of square footage for a set price. There were other 5x10 units available, but for the same price OF COURSE NOT they couldn't match the price, that would be RIDICULOUS. Not pleased, but already had a delivery set up for my stuff so I couldn't change our location of storage. When I was checking out the other person working there stated "Oh I know that unit" and chuckled referring to the piped storage unit. If you and everyone else knew, DON'T ADVERTISE THE DECEPTIVE SIZE SPACE. What you should do is market it at the open available space. I was very happy with my storage unit. 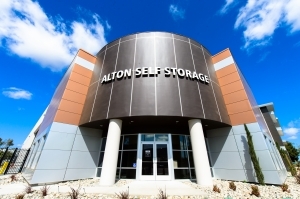 Had a great experience at Alton self storage. I originally picked this storage unit because it was the best value but i was much more satisfied than I expected. They had excellent customer service. The storage place is very clean and secure. I left feeling great that I chose this place for storage. Stacy was just so nice and professional. Fantastic environment. Only the number system was a little confusing. The door opener is also hard to work with. The space 5x5 seems to be a lilttle smaller than I remembered. Everything was fast, professional and well priced. Great and very clean facility. Fantastic customer service, great units, and price can't be beat. The facility is very clean and modern. Professional staff, clean, well-lit, music to boot! I've rented many storage units through the years. This one really impressed me. Professional staff...in matching uniforms, no less...immaculate, well-lit, state of the art security, pretty competitive pricing, easy access, and even music. Senior / veteran discounts. These folks know how to run a business. I've already told 3 people about it! Everything was clean, professional and fantastic. I felt comfortable with the facility from the moment I approached. Nice curb appeal and then greeted immediately. Staff and leadership are very polite. I did not feel like I was just a contract. I decided on Alton site unseen due to the excellent prices, however once I got there the paperwork was quick and easy and I found the facility very clean and the staff very helpful and courteous. I would recommend this place to my friends or anyone ! Very clean, safe, friendly staff! Very nice place, although it is brand new, about a year old. Very secure and easy access. Highly recommend it. The manager is very friendly and knowledgeable regarding unit sizes. The facility is very clean and secure. The price and location are the best in the area. 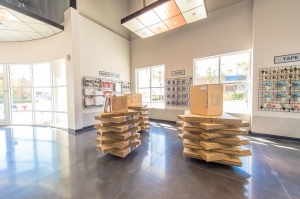 I would highly recommend Alton Self Storage to anyone seeking self storage in Irvine. We arrived a day early for our appointment after already reserving our unit, which was no problem for the staff. Russ was extremely friendly and efficient, made everything I signed very clear, made sure we would have sufficient carts, and even helped me back my truck into place without being prompted. The unit is very clean, easily accessible, and the climate control is very robust. Only reason I dinged them on pricing was a surprise $10/month insurance requirement that wasn't accounted for on Spare foot, but they were still the best pricing around by far. Clean! Cheap! Secure! We live in Anaheim and picked Alton Self Storage even though it's 25 min away!! It's awesome! We were tired of paying $200+ for our storage and I heard that this place charged less than $100 for the same space. Thinking it was too good to be true, I contacted them. It was true! We are now paying less than half what we payed before for a more secure storage unit in a nicer facility. It's awesome! By far the best service and quality recieved at a self storage. Very clean facility and easily the most secure storage location that I've ever seen. The staff was also very friendly and helpful when I moved in. This Storage location is far the best I've ever encountered, second to none. Unit was easily accessible, place was very clean and the service was quick and efficient. Great location! Great size for the money. Very clean, no dust,cobwebs, or bugs. Brand new state of the art business very helpful, friendly staff. Very knowledgeable staff whisked me quickly through the process to rent a space and escorted me to my unit to show me the ropes. l was very impressed - I've rented many units in the past and this place is the best, and very inexpensive compared to surround self storage businesses. Thank you, Sparefoot.com! Best experience renting a storage space!! Best I've ever seen in a storage facility. Very pleased with the facilities and the service I received when I arrived to deposit my belongings. They had a deal on one of the larger units which I ended up taking despite being more than I needed for now. Facilities were very clean, new and secure with keycode for entry and lift access. Service was very friendly, efficient and welcoming. Would recommend. Russ took me on a tour at Alton Self Storage inwhich I was able to find my way back to my unit with ease. All the little in's and out's of renting a space was clearly spelled out in a super friendly way. Love the longer hours of access. I used Sparefoot.com to shop & reserve my unit with no cost to me, hidden fees and no annoying emails afterwards. I made a great choice! Thank you Sparefoot and Alton Self Storage!!! I looked online and found a good price for a 10 x 10 storage space. Sarah, Manager was real nice and professional But, I was surprised by a mandatory $15 per month for insurance, hidden cost. The staff was very helpful. The location was clean and easy to move into. Looking through sparefoot was extremely easy. Staff was very friendly, facility was clean and easy to move into. Excellent overall experience. The staff was very friendly, the facility was clean and easy to move into. I just moved into this new self storage unit. I was very positivly surprised by all the good service I received from the people running the unit. 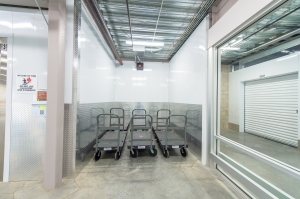 All the space is clean and you can even borrow platform dollies to move your items to your unit. Security is excellent - elevators can be operated only with your own personal 7 digit key. This place is great! The staff was super helpful. Storage for the 21st century. Mello. It's even got piped in music! This is the first time I've ever went to the storage facility. I'm an oldster and I guess I expected the worst. Well, much to my surprise I've had a great experience at Alton Self Storage. Because this place is everything its ad says, and even more. Because you can't put into words just how fantastic this staff is. Everyone who I came in contact with when I visited the facility several times and when I called there following my visit was incredibly helpful, polite, knowledgeable. They made filling out the paperwork, buying the insurance, and supplies and easy Adventure. And even mentioned some move in specials that I didn't know about. When I was given my coat, and a lock that I purchased, my sales agent made sure that I knew how to use both of them. Not just in words, but actually doing it. And I really thought that was above and beyond. He also showed me how to use the elevator keypad in case an event occurred and I needed help. Fantastic feature available to renters to make them feel secure. And yes, the facility does have a covered loading dock, lots of cameras, and is extremely well lit. So very high security. The elevators are very large and very high, and are fast and there's enough of them. There are a lot of hand carts available which is great. And there's even a bathroom that were allowed to use! 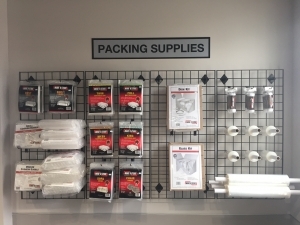 They sell plenty of packing supplies and lots of different kinds of them which was great to see. But what words can't express is just really how great every single person was that I dealt with. Incredibly friendly, helpful, and hospitable. My experience at Olden self-storage was amazing. As far as I'm concerned, they can use me as a spokesperson anytime. This is much better than other storage places. It is a better price for twice the space. Very clean and organized storage facility. Excellent price. Friendly crew, clean units, affordable price! The crew here is very friendly and makes sure the customer finds what he needs. The facility is brand new and very clean. The price is the most affordable I can find around the neighborhood. Everything that I expected and more. I'm very happy with Alton Self Storage. Very satisfied with my whole experience here. Everyone was very helpful. Very happy with my experience. Rob was very helpful. Very clean facility, can get crowded on the weekend, but overall a great value for your money. 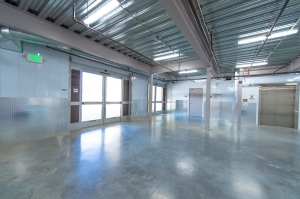 Very clean facility, pricing is competitive, and access hours are excellent! The pricing is very competitive, but what really impressed me was how cleanliness of the facility. I also really like that you need a security code to access most areas. Friendly staff and amazing brand new facility. The staff is personable and professional too. And I love that they have access until 9 pm. Rare. 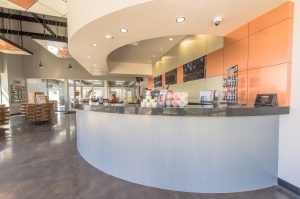 Excellent service, beautiful well-secured facility and knowledgeable friendly staff. Great location and climate controlled. 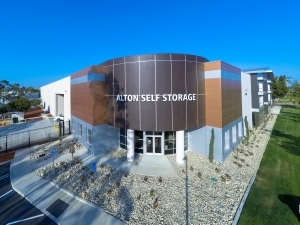 I was looking for a great value on a self-storage space in a hurry and came across Alton. I checked out a few other places in the OC area and I was really happy I reserved my unit with them. It's clean, safe, and secure. Barbara was fantastic! She went through the paperwork thoroughly and quickly with me. Any questions I had she was willing and able to answer. I would definitely recommend this place. Great value. So far, very good experience. The facility is new and clean and has easy access. The price is very good compared to other storage units. Nice, friendly staff. Very clean facility. I would recommend this place to anyone looking for a storage unit. More words here to fill the comment limit. Fair price, very busy moving center, hard to find dollies. The price is fair. The center is new and on a weekend you need to contend with dozens of people storing things at the same time and moving through one main point of entry and elevator system. The center is not well-suited to handle this much demand. As a result, it can be hard to find dollies, hard to find places to park and make otherwise easy moves dangerous, more time consuming hassel. Just avoid during peak hours on weekends. Very clean. Detailed information from the customer service. Secure. Well located and the prices are competitive and awesome. The detailed information about how much you are going to pay each month it's a great help also there is no contract, it's month by month payment. Perfect for our needs! They are militay/veteran friendly too! 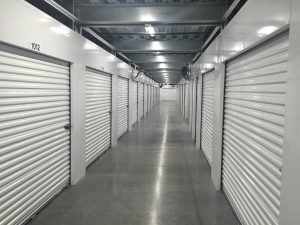 Painless experience to set up storage contract. People were knowledgeable and helpful. Great move in incentive -$1 for your first month. Reserved a spot, went in and toured same day. Walked out within 20 mins. We rented two units. Would do it again. The facilities are very clean and new. The staff is very nice and friendly and they work quickly, which is great since my movers were charging me hourly. Good location very convenient to access. Drive up loading and unloading, clean facility, helpful, friendly and efficient staff on site. Very clean and efficient unit. Thank you Robert! Very friendly staff and what a great looking facility. Never seen a storage place so clean! Inital thought upon arrival of alton was "wow this place is really clean". Customer service at front desk walked us through everythibg step by step to ensure there was no issue when we moved our items in. They took the time to give us a door, double chekc the locks worked, abd that we felt comfortable going through the locked security systems. Very spacious and clean with nice security and staff. This storage center is very new. They are very accommodating and friendly and work hard towards their customer's needs and questions! Staff here is very kind and patiently show you all the ropes. I have no complaints at all. Brand new facility, great staff, clean, safe, and perfect hours. Thanks Alton Self Storage! Fast . Efficient. Friendly. Clean. The staff is friendly, explain everything up front . Thryngave me a quick tour and made everything easy from walk in to walk out. The facility is clean and well .maintained. If your in need of secure storage at an affordable price. This needs to be your first stop! 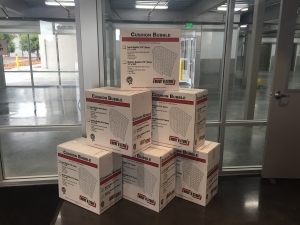 Thanks ALTON storage team! It was easy to find and compare Alron Storage with its competitors in the market. Alton stood apart as a brand new facility with lower prices than its chain counterparts. So far, I am content with my choice. Amazing staff, spotless , convenient !